The Gallery is designed with stunning modern style and functionality that allows you to create gallery very very easily, just copy your folder structure to theme folder then it will generate gallery automatically. 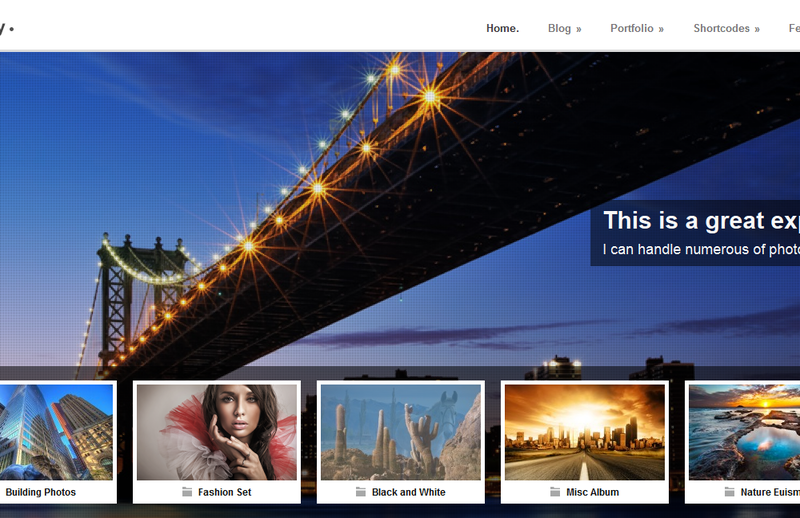 On this photo gallery WordPress theme you can also create unlimited sidebar, choosing over 450 fonts or if you want to use your own, the author of this theme provide a cufon uploader. This theme also includes SEO optimization so it is an awesome tool for your website promotion as well.